Joseph "Joe" Dee Harris, 78, formerly of Ringgold, went home to be with the Lord on Saturday, January 19, 2019. Joseph was born April 4, 1940 in Nashville to the late Joe and Nellie Harris. 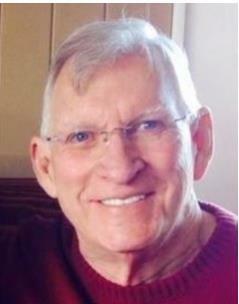 He was a graduate of Lakeview Fort Oglethorpe, Class of 1958, and also graduated from Chattanooga State. Mr. Harris was a veteran of the United States Air Force and a former member of Cloud Springs Baptist Church and Burning Bush Baptist Church. Joe is currently a member of Athens First Baptist in Athens, Al. He served as the operation supervisor at Tennessee American Water Company and retired after 42 years. Joe is preceded in death by his daughter, Donna Lynn Harris McBrayer; sisters, Carleen Proctor and Adelle Clady; and brothers, Carl Harris, Wayne Harris and Charles Elmer Harris. Survivors are his wife of 56 years, Linda Hudgins Harris; son, Donald (Teri) E. Harris, of Athens, Al. ; brother, Homer (Sylvia) Cleveland Harris, of Collinsville, Al. ; sister, Betty (Rex) Harris Clady, of Chickamauga; grandchildren, Sgt. Joseph (Krystal) Benjamin Harris, Teri (Michael) Elizabeth Harris Randall and Kirstie JoHanna McBrayer; great-grandchildren, Lucas Jameson Harris and William Alexander Harris; and numerous nephews and nieces. A graveside service honoring the life of Joseph Harris will take place on Tuesday at 1 p.m. at Lakewood Memory Gardens, South. Services will be officiated by Dr. Joel Carwile. The family will receive friends from 10 a.m.-noon on Tuesday at Heritage Funeral Home & Crematory, Battlefield Parkway.